Lightroom is a really powerful photography editing tool. However, if you are switching between using your mouse and keyboard it can be a slow process. By learning a few simple keyboard shortcuts, you can really speed up your editing process. When you import your images to Lightroom you will usually return to the Library module. This is great for adding selecting, ranking and keywording images. You’ll then want to move to the Develop module to make any edits and then maybe on to the Slideshow or Print module to share your images. Rather than picking up your mouse, you can easily switch between modules from the keyboard with the following shortcuts. In the Library module, you can switch between different views. This will either give you more information about the image or allow you to see the image differently. One of the most used shortcuts you’ll use is switching between seeing your images in a grid or as one large image. To see the images as a grid view simply press G. All of your photographs in the folder selected will be visible on the screen as thumbnails. To make the thumbnails bigger press the = key and smaller, the – key. To view just one image, known as the Loupe view press the E key. You can see these two views side by side below. When viewing an image in Loupe view, you can show or hide the overlay information about your photograph. There are three views which will be toggled through as you press the I key. The first shows the image with no information overlays. The second will show the filename, date and time of capture and file size. The third overlay shows the filename, shutter speed, aperture, ISO, focal length and lens used. You will often want to mark your photographs so that you can prioritise how you work with them. 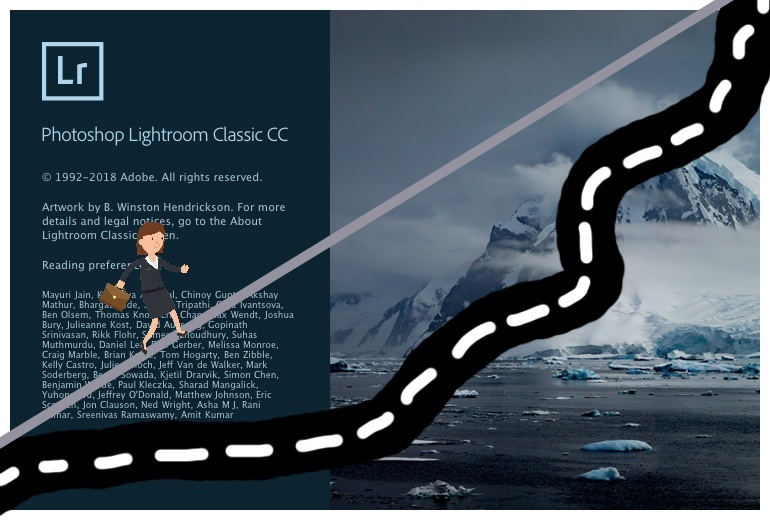 There are a number of ways that Lightroom offers you to do this. There are flags which allow you to reject or pick photographs. There are star ratings where you can allocate between 1 and 5 stars. Finally, there are colour labels. Flags are particularly useful as a first stage of the Lightroom workflow. You can flag an image for rejection in the first pass looking at your images by clicking the X key. This will add a black flag to the image thumbnail, and it will make deleting the image from Lightroom or your hard drive easier. If you have added a flag by mistake you can remove it by pressing U. Clicking P will add a Pick style flag which is one way of identifying an image as one of your better ones. If you want to remove images that have been marked from rejection, then you can press Ctrl (or CMD) and Backspace. This final group of shortcuts are used in the Develop module and will improve your speed of editing images. In the Twenty Second Edit blog we used the Auto Tone tool to allow Lightroom to apply various settings that it thinks improves your photograph. We can easily do this with a keystroke by pressing the Ctrl (or Cmd) and U key. Another regular task you may do in the Develop Module is cropping. Instead of clicking on the tool at the top of the Basic panel you can simply press the R key and the crop overlay will appear. This is a really good shortcut as it can be done from any module. You can also constrain the aspect ratio of a crop by pressing the A key whilst the Crop tool is selected. A really handy feature in the Develop module are the two triangles at the top of the Histogram. By hovering or clicking on these you can see either shadow or highlight clipping (where there is no detail being recorded). You can automatically switch these on and off by pressing the J key. The last of the shortcuts we’ll look at this week is to open the selected picture to be edited in Photoshop. We’d usually have to right click on the image, select Edit In and then select Edit in Photoshop. We can really speed up the process by clicking Ctrl (or Cmd) & E.